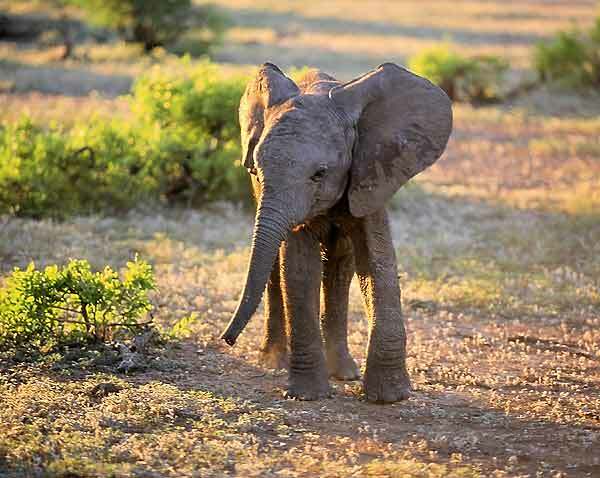 This photo of a baby elephant was taken in late afternoon in the Tuli Block, a remote area in the far eastern corner of Botswana. This stock photo is no longer for sale. But Please Don't Go Away! You can see more baby elephant pictures on our Baby Animal Pictures page, or you can click through to Elephant Pictures in our Gallery section, where you'll find a large selection of ele pics, including youngsters, adults and families. Please contact me if you're interested in purchasing this picture.